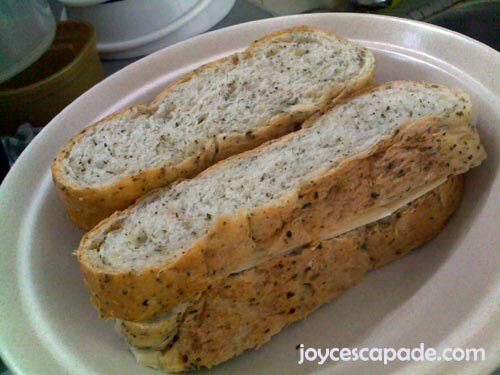 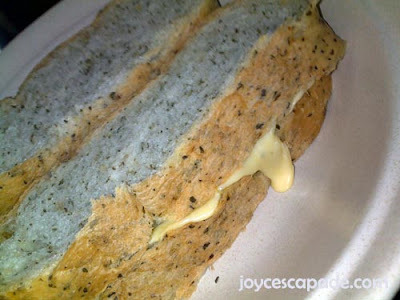 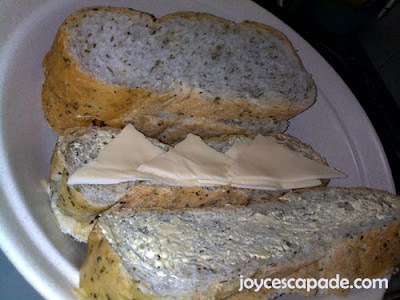 I bought a huge loaf of Country Herbs French Baguette from and made cheese sandwich for breakfast. I spread margarine and arrange cheese slices that I've folded into mini triangles on the baguettes. By the way, I saw these Star Wars™ Sandwich Cutters online. 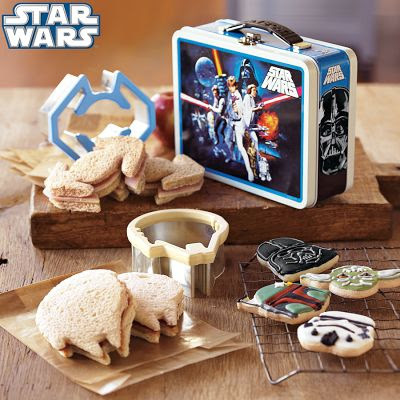 Transform your Jedi's favorite sandwiches into high-energy fuel for lunches, snacks and parties with Millennium Falcon™ and Darth Vader's TIE fighter™ sandwich cutters. Created by the Jedi Kitchen Council to celebrate the Rebel Alliance's victory over the evil Empire, these cutters are fun and easy to use -- just press and cut.